Antec's LanBoard offers the easiest way to transport your PC anywhere. This durable cart supports a fully loaded case of nearly any size and enables you to roll it wherever. Transport it from office to office, take it to LAN parties or simply pull it under and out from beneath your desk or workstation for easy access to the back. All wheels rotate a full 360 degrees, and the front two lock, making servicing your PC simple. Plus, it comes with a convenient carrying strap for added portability. 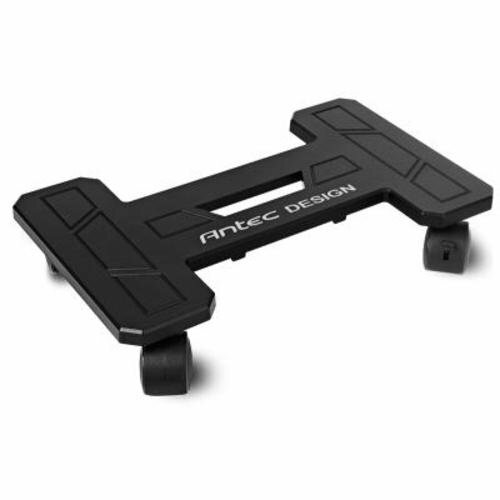 Make your computer accessible and mobile with Antec's LanBoard. Transport your PC anywhere with the LANBOARD Portable PC Cart. LANBOARD is a durable cart which supports a fully loaded case of nearly any size and up to 130lbs of a PC, and enables you to roll it wherever you need it! All wheels rotate a full 360 degrees, and the front two lock, making servicing your PC simple. LANBOARD comes with a convenient carrying strap for added portability. Please note: Antec's LanBoard is designed only to support the weight of your PC and is not intended for use to support any other object(s).